4th Annual Chili and Tamale Cook Off! Save the date! 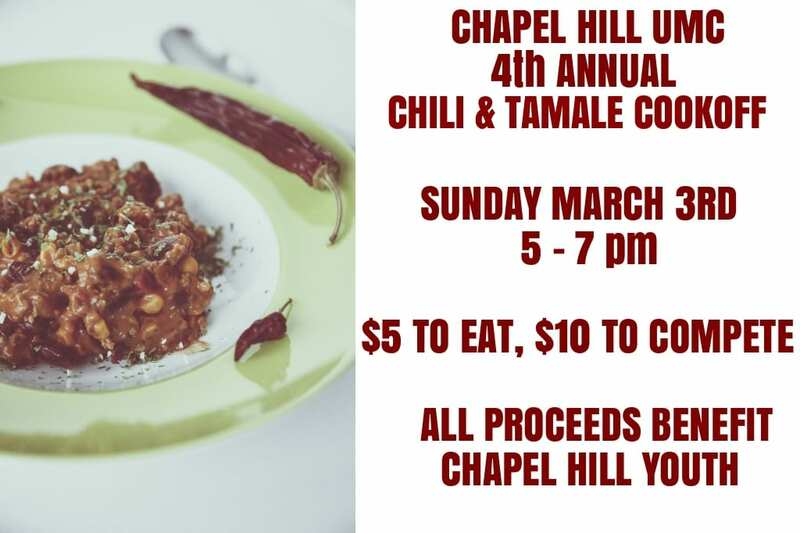 Our annual Chili Cook-Off will be Sunday, March 3rd, from 5:00 to 7:00 PM. There will be a $5 entrance fee. To enter your chili: $10 to enter. We will ask that you enter your team name, chili/tamale name, ingredients, and spiciness in our entrance form, available Sunday after service!